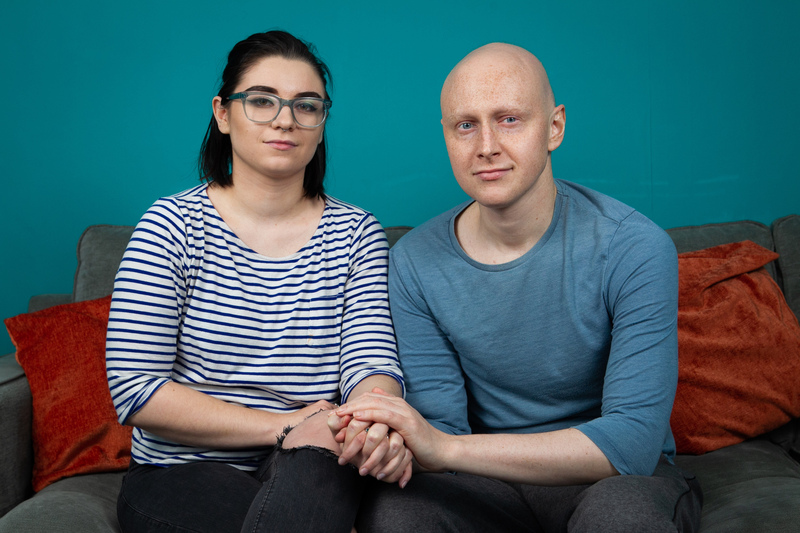 A YOUNG maths teacher has revealed how his bone cancer was missed for seven months despite a series of visits to his doctor. Chris Fairley, 30, suffered from a painful back but repeated visits to his GP left the cancer undiagnosed. He had blood tests which “proved inconclusive” and even an MRI scan. But his partner, Kirsty Yule, 26, a midwife, claims medical staff looked at the wrong area of his body and did not focus on locating the source. “I underwent a series of blood tests but they proved inconclusive,” said Chris, from Cumbernauld. “I was referred to a rheumatologist and waited for four months for the appointment. “Eventually, I was just told I was someone who had to live with back pain. The couple say that an MRI scan missed the cancer. The tumour was eventually suspected by a rheumatologist who referred Chris for a scan at another hospital. The tumour was confirmed by this scan and Chris was referred to the Beatson cancer centre in Glasgow. Diagnostic tests confirmed the tumour was in his hips and that the cancer had spread to his lungs. Chris was devastated when he got the news but said he was determined to remain upbeat despite the huge battle he will face. “I had got a diagnosis at last, but knew I had a considerable fight on my hands to beat it,” he said. 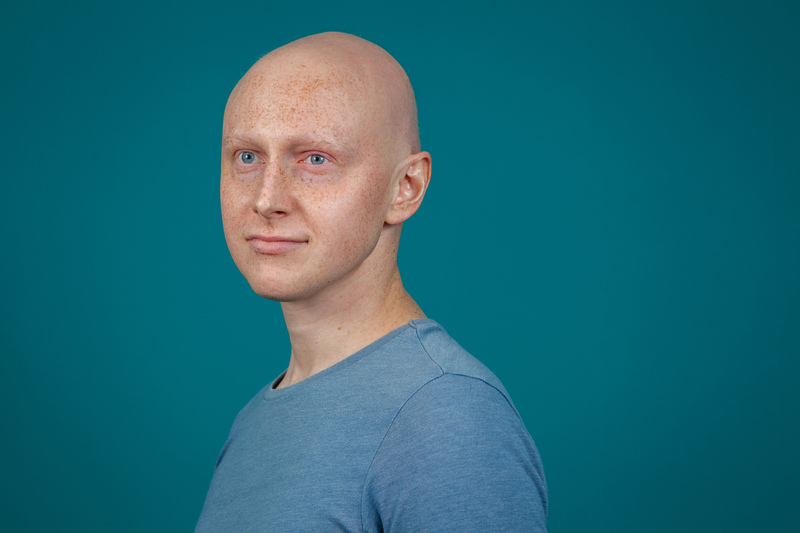 “I have undergone chemo and now face eight more chemo and 35 sessions of radiotherapy to beat the cancer. “The doctors have told me that it is possible to survive this and I am hopeful of a good outcome. Kirsty said: “I am hugely upset that Chris’ cancer was not diagnosed earlier. “I feel that vital signs were missed. The first blood tests were inconclusive. “We have met other patients with bone cancer who also took months to diagnose. Chris is being supported by the Bone Cancer Research Trust. Recent research by the trust reveals that one in four patients have waited more than seven months for a diagnosis. Worryingly, 13% took more than a year. The research also revealed that 26% of patients made seven or more visits to their GP or other healthcare professional before being diagnosed. Chris’ maths teaching career is now on hold as he undertakes his battle to survive. He can’t drive because of the cancer and Kirsty has gone part-time at her midwife jobs to support him throughout. The couple feel Chris’s missed cancer is a serious training issue for doctors. They want more investment in teaching GPs and hospital specialists to diagnose and treat bone cancers earlier. Kirsty said: “We have met other people whose bone cancers were not diagnosed when they should have been. Zoe Davison, head of research and information at Bone Cancer Research Trust, said: “We found the survey results worrying and we’re keen to ensure that the disease is diagnosed at the earliest opportunity. “Medical students receive no formal training on primary bone cancer during their medical education. Lynn Mack, NHS Lanarkshire Cancer Services Manager, said: “We appreciate that this has been an anxious time for Mr Fairley. “A definitive diagnosis of bone cancer depends on combining information about what bone is affected and which part of the bone is involved. “It is different for each individual patient, depending on their symptoms, and involves a range of scans and biopsies.